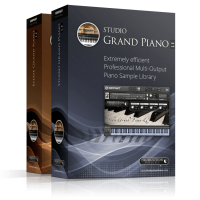 All the Piano Sample Libraries below use Native Instruments Kontakt Version 4 or Version 5 as the host for the samples, not the Kontakt Player. Kontakt is a commercial product that must be purchased separately for the libraries to load. Kontakt IS NOT included with these libraries. 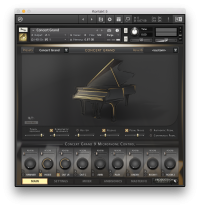 While the free Kontakt Player does load the samples, it is time-limited and will not meet the requirements of a usable experience. 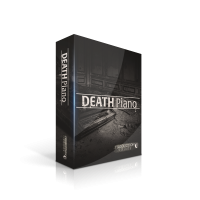 Production Voices’ Piano Sample Libraries work best on Kontakt. 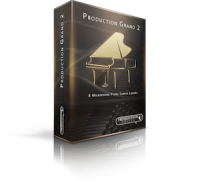 Kontakt loads quickly and manages memory very well with excellent performance. 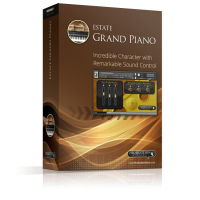 Most professional users are using Kontakt, including film composers and producers. 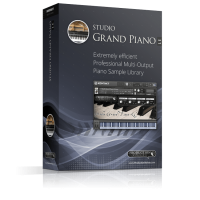 If you do not own Kontakt, many Production Voices’ Piano Sample Libraries are available for the FREE Plogue sforzando sample player. You can check out our available libraries for the FREE Plogue sforzando at our sforzando Piano Libraries page.